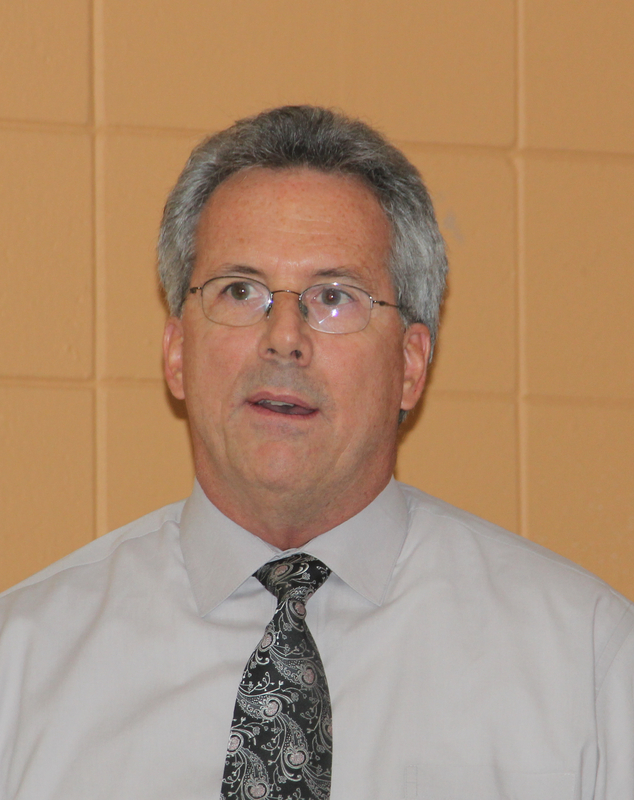 Although the upcoming South Siesta Key renourishment project was the focus of a presentation Laird Wreford, Sarasota County’s coastal resources manager, made on Nov. 5 to members of the Siesta Key Association (SKA), other questions arose relative to sand replenishment. As more developed areas seek to add sand to eroding beaches, Wreford said, “you’re going to be seeing more and more — and innovative — ways of doing beach renourishment.” He pointed out that the types of offshore sand deposits traditionally used for those initiatives are becoming scarcer. 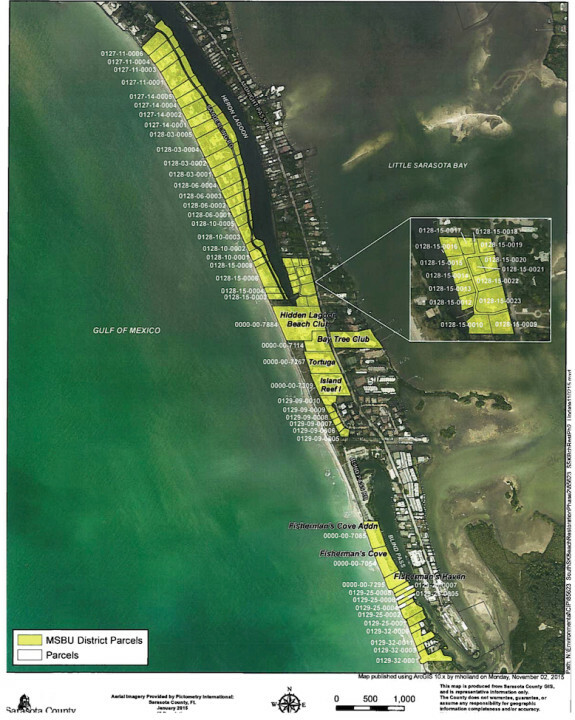 For the first south Siesta project, completed in 2007, he noted that an adequate sand source was located about 7 miles offshore. This time, he added, the firm undertaking the project will have to go further out; one sand source is 10 miles from the beach. That sand in the Gulf of Mexico came from the beach, he continued, pointing out that the rate at which coastal Florida communities have been scooping that sand back up for renourishment has outpaced Mother Nature’s process for depositing it offshore. And because of the expense involved in going further out to sea to retrieve the sand, Wreford said, some communities are starting to use trucks to haul in sand from other sources. He asked the Siesta Key Association members to picture the island with “a caravan of fill trucks — I mean thousands of fill trucks — day in and day out, coming from the mainland, over the bridge” and then dumping their loads before heading back for more. “You’d have two lanes of trucks, coming and going in different directions,” he told the audience. In response to a question, Wreford said, “You won’t find offshore sand that’s going to match [the sand on Siesta Public Beach].” Wreford added that the “unbelievably powdery white nature” of that sand is a result of the accretion effect created by Point of Rocks — a point he had alluded to earlier in the presentation. Then SKA member Katherine Zimmerman asked, “Do you have any idea how long we intend to fight Mother Nature” by continuing to renourish eroding beaches? Sea level rise will affect the islands as well in the years to come, he noted. “Happily, at my advanced age, I won’t be directly affected by it,” he told the audience with a chuckle. A Nov. 17 staff memo notes that the initial beach restoration project, Phase 1, was completed in 2007, “following which an annual non ad valorem assessment was levied on the specially-benefitted properties located within the District …” The assessments began in the 2008 tax year, the memo continues, and ended with the 2014 tax year. Before the Dec. 9 public hearing, the memo adds, staff will undertake further outreach to the affected property owners, in the form of informational mailers and informal meetings. The memo further notes that staff also anticipates Dec. 9 to be the date it will present the commission a construction contract for the renourishment project. As a result of the vote last week, staff planned to advertise the MSBU ordinance on Nov. 24. On a related note: Doreen Buonpastore, a fiscal consultant in the county’s Office of Financial Management, told members of the county’s Tourist Development Council during their Nov. 19 meeting that $9.1 million of Tourist Development Tax (TDT) revenue has been allocated to the South Siesta Beach renourishment as part of the county’s 2016 fiscal year budget. Altogether, she pointed out, TDT funds will cover about $15 million of the expected $21.5 million project expense. 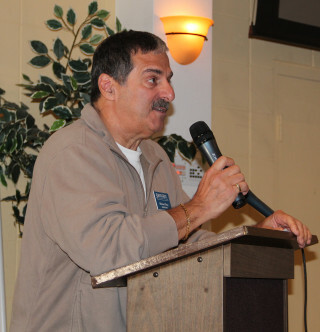 During the Nov. 5 SKA meeting, President Michael Shay provided an update on another topic that has been the focus of considerable discussion among members in the past: keeping the beach as clean as possible. As part of the September SKA meeting, Shay broached the idea of the organization partnering with a grocery store chain and businesses in the community to place dispensers at beach accesses, so interested people could pick up plastic bags to use in collecting any trash they found on the beach. A number of SKA members who walk the beach early in the mornings already do that on their own, as evidenced by the discussion. On Nov. 5, Shay reported that he had received approval from the county’s Parks, Recreation and Natural Resources Department staff to pursue a pilot program at one beach access, though county staff is mulling which location would be best. The goal is to erect some sort of dispenser with bags, he continued. “We are in the infancy [stage] on it,” he said of the proposal. In fact, he noted, the SKA board members have not had an opportunity to discuss the proposal among themselves. Therefore, Shay said, he will provide more details about the pilot program during a future SKA meeting. 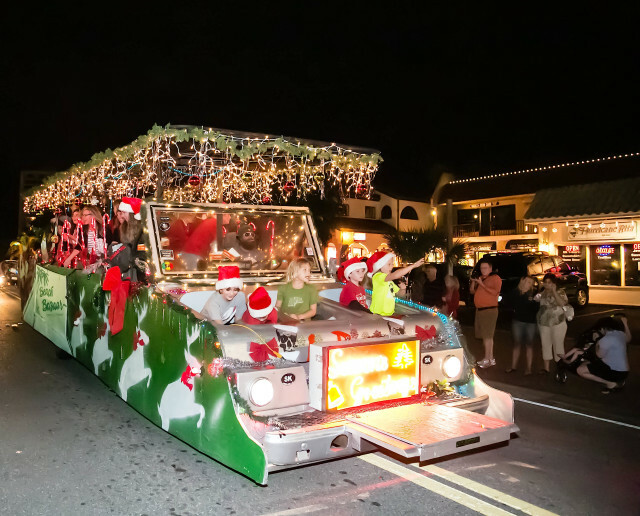 The Siesta Key Village Association (SKVA) is reminding everyone that its annual holiday season kickoff, Light Up the Village, will be held from 6 to 9 p.m. on Saturday, Nov. 28. A parade; children’s opportunities to talk with Santa Claus at Siesta Center; entertainment by the Pine View High School Jazz Band, keyboard players and choirs; face painting; and the presentation of gift bags from Beach Bazaar to the first 250 youngsters to visit with Santa will be among the festivities. Luminarias will line Ocean Boulevard, and businesses will be boasting their best seasonal decorations. Trolley rides will be offered from Siesta Key Public Beach to the Village from 5:30 p.m. to 10 p.m. to ease parking anxieties. 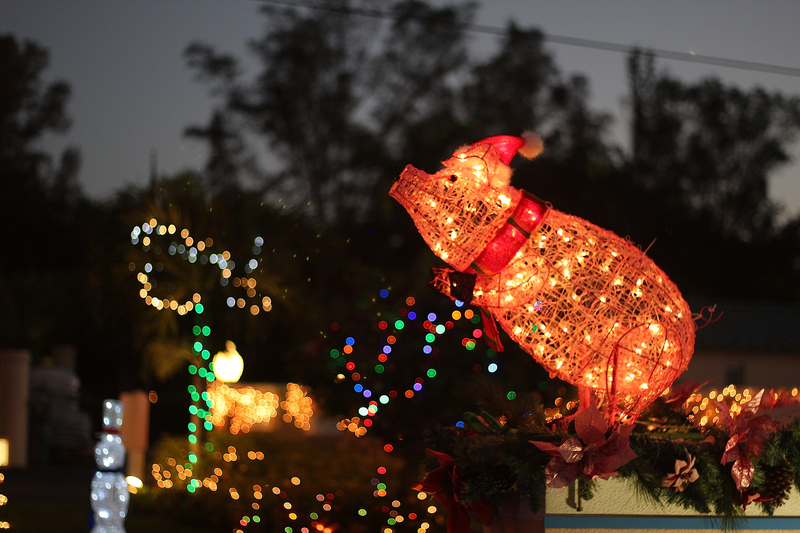 The Siesta Key Condominium Council has announced its plans for its annual Holiday Lighting Contest. The competition is open to condominium complexes that are members in good standing (including having paid their current dues) with the council. The deadline for registering to participate is Friday, Dec. 11, at 5 p.m., a news release points out. Judging will take place on the evening of Dec. 16; the group charged with that responsibility plans to depart from the Siesta Key Chamber of Commerce office in Davidson Plaza at 6 p.m., the release adds. Condominium complexes with 101 or more units. Complexes with 51 to 100 units. Complexes with 50 or fewer units. Click on this link for a registration form to enter the contest. Each year, the Siesta Key Chamber of Commerce recognizes two outstanding member businesses and one member businessperson for his or her personal achievements and contributions, the Chamber is reminding the public. “Additionally, the Shining Star Award is presented to an exceptional volunteer or employee,” a news release says. This year, completed nomination forms must be received no later than 5 p.m. on Dec. 11, the release notes, adding, “You can download a nomination form by clicking here or pick one up in person” by visiting the Chamber office in Davidson Plaza on Ocean Boulevard. Demonstration of excellence in business or profession. The awards will be presented during the Chamber’s annual meeting, which will be held on Jan. 22, 2016 at TPC Prestancia. Anyone with questions regarding the awards may send an email to nominations@siestakeychamber.com.